Raised surface that scrapes dirt. Slip resistant in wet, greasy or oily conditions. Ideal for medium to heavy duty use areas, as an entrance mat, industrial mat or catering/food industry mat. Contains water, dirt and grit, holding up to 2.6 litres water/m2 or 1.5kg of dry dust/m2. Easy to clean 100% Nitrile mat (machine washable). 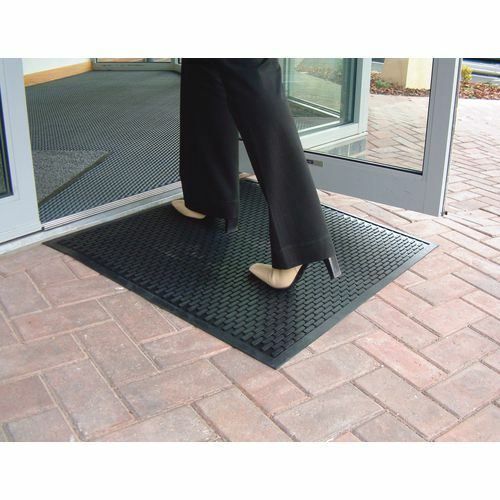 Supplied with safety bevelled edges.